Located: Along the north side of County Road 61 at Maki Road, Thompson Township, Carlton County. Length: 0.15 miles (0.10 miles drivable). 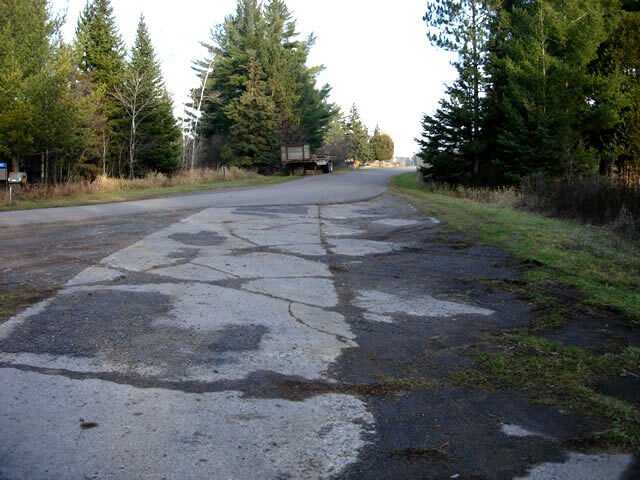 A short service drive along the north side of Carlton County Road 61 between Scanlon and Esko was once part of the original paved highway between the Twin Cities and Duluth. This section was originally paved in 1924 with concrete, 18 feet wide. It was completed as part of a paving project that stretched from the St. Louis / Carlton County line to the town of Carlton. It was left behind and incorporated into a short service drive in 1949 when U.S. 61 was upgraded into a four-lane divided highway between the St. Louis River near Scanlon and the city limits of Duluth. It was bypassed to lessen the severity of a curve just east of the St. Louis River crossing. The road is accessible via a service drive on the north side of County Road 61 at the intersection with Maki Road ( Note: the east end of the service drive that parallels the main road was constructed in 1949, and was not part of the original highway). The old west entrance that once opened directly onto the highway has been closed, and has become overgrown. A section of the original concrete pavement is still exposed at the west end. Looking east where the original pavement appears. Note its very poor condition. 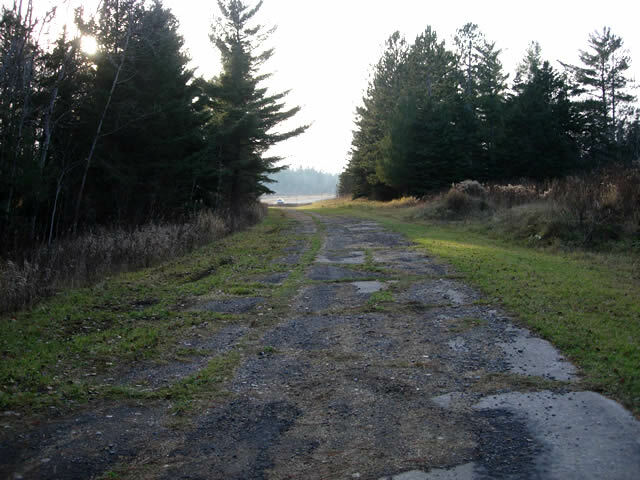 The old pavement, looking west towards County Road 61 (note the car).